Toy Story 4 toys are flooding the store shelves now. I needed a bit of calm before the storm, so when Bandai sent me Pretty Pixels, I had to incorporate something Toy Story related. Pretty Pixels Eraser Maker by Bandai makes it really easy to create your own erasers using their templates, or by designing your own. I cannot tell you how relaxing it is to create the erasers. In just thirty minutes, I had made four erasers. Check out my unboxing video, and see exactly it's done! With just five easy steps, you will be cranking out erasers to decorate your pencil box in no time. My five-year-old son, Marcello, was able to make his own eraser as well, which proves how simple it is to use. If you're looking for a great gift for Easter or for a birthday -- Pretty Pixels should be on your list! Pretty Pixels by Bandai are a fun, new way to brighten your pencil box and to correct your mistakes in kawaii style! With fun colors, cool designs, and a flair for do-it-yourself crafts, kids in school will love these tiny erasers that they made themselves. Pretty Pixels are so easy and fun to make as each kit comes with a themed pack where you can follow along with the simple instructions, or create your own design. 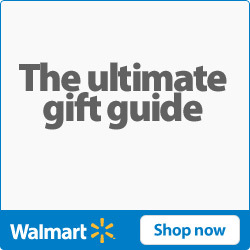 Choose from one of four design packs Animals, Sweets, Fruits, and Fashion. Once your design is complete, pop it in the microwave and then you have your own custom eraser! The end result is a pixelated version of a cupcake, rainbow, or butterfly - the pixelated look is very on trend and nostalgic! 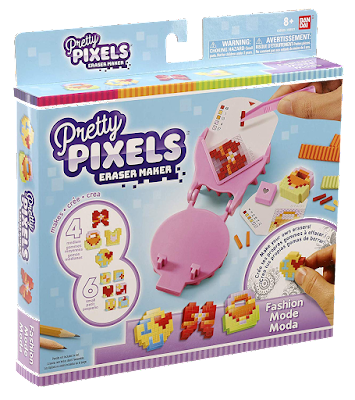 Pretty Pixels will be on the shelves this Spring 2019 - just in time for Easter to fill Easter baskets, perfect birthday gift, and it also makes a great back to school bonus gift! Kids ages eight and up will love Pretty Pixels, which is just about the age where I started my own eraser collection! I’m sure others can relate - the school store always had adorable little erasers, and my pencil box was chock full! I wish Pretty Pixels was out when I was a kid! There is the deluxe kit for $24.99 as well as starter pack for $16.99, each set comes with enough materials to make up to 10 erasers, plus your kiddo will be strengthening his or her fine motor skills as each Pretty Pixel eraser is a small cylinder that gets pieced together and then placed in the Pretty Pixel maker. You also get a handy tool to make the building of your eraser super easy! This project will keep your kids busy, and once done they can keep them or trade with their friends! You can purchase refill packs for $9.99 to keep making more erasers! I sincerely hope Pretty Pixels branches off into other cool DIY sets as the overall look is super cute. I would love to see a Pretty Pixels jewelry maker where you can turn your erasers into a charm necklace or a fun, stretchy bracelet! Stay tuned to follow up videos where I create my own Pretty Pixels jewelry! Thank you so much, Bandai for sending such a fun, and crafty set for us to review!